3rd year doing this swap! I'm happy to continue the tradition. 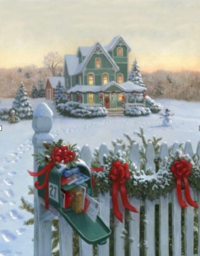 You will send 1 Snow themed STORE BOUGHT Christmas card to 1 partner. No handmade cards. It has to have snow on the card anywhere. Must be Christmas related. Write something nice inside. You may decorate the envelope if you would like. Want to send something extra? Do so! Newbies are welcome but you must have a WELL filled out profile. No recent unexplained ratings. If you know of a bad swapper please DM me. Do not comment it. If you get flaked I will angel you. Could I ask my partner to send to my sister instead of sending to me? I’m a newbie. Is this USA only?